Iowa State University’s Halil Ceylan picked up his smartphone, opened up an app and called up the remote controls for the first full-scale test slabs of electrically conductive concrete installed at an American airport. Late last fall Ceylan and his research team from Iowa State’s Program for Sustainable Pavement Engineering and Research installed two, 15-by-13.5-foot test slabs of electrically conductive concrete into the apron at the southwest corner of the Elliott Aviation hangar on the north side of the Des Moines International Airport. The hangar is in the middle of the general aviation apron devoted to smaller aircraft. Ceylan, an Iowa State professor of civil, construction and environmental engineering, still working the system’s phone app, called up pictures of the slabs during one of this winter’s rare snowfalls. 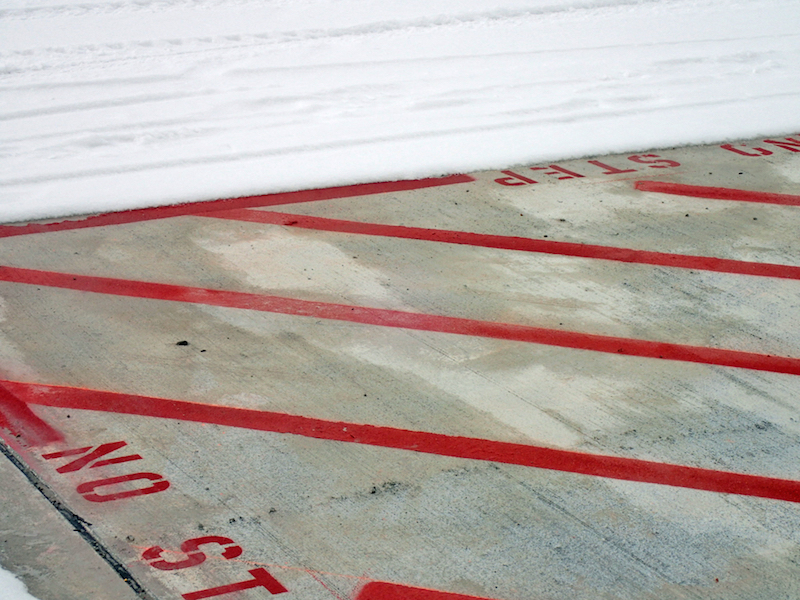 The apron all around the test slabs was covered with an inch or two of white snow; the two slabs, marked by diagonally painted red stripes, were clear and drying. Seven hours “is way more than enough to melt an inch of ice or snow,” Ceylan said. Ali Nahvi, a graduate student in civil, construction and environmental engineering and part of Ceylan’s research group, has been analyzing the economics of heated runways at airports. And so far, Ceylan said Nahvi’s data say the benefits are greater than the costs. The test slabs at the Des Moines airport are 7.5 inches thick in two layers – the bottom 4 inches are regular concrete, the top 3.5 are electrically conductive concrete. Between the layers are twelve metal electrodes, six per slab, running the width of each slab. The electrodes are wired to the nearby hangar’s power supply. The slabs are also wired with various sensors: temperature probes, strain gauges, humidity sensors and more. There are two surveillance cameras mounted nearby. And the team just acquired its newest research tool – a high-grade thermal camera. 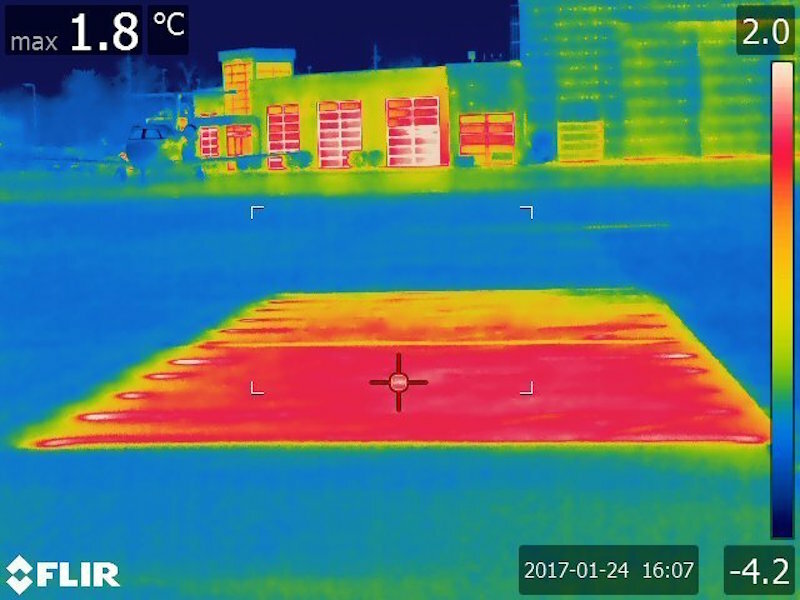 Ali Arabzadeh, another doctoral student in civil, construction and environmental engineering, set the thermal camera nearby and you could watch the electrodes heat up, creating thermal images in reds and whites. Then, as the carbon fibers in the test sample spread electricity and heat, the camera’s images turned from blues to greens to yellows. After several minutes, the camera recorded a sample temperature of about 75 degrees. Ceylan’s heated pavement research is part of the Federal Aviation Administration’s Center of Excellence Partnership to Enhance General Aviation Safety, Accessibility and Sustainability, or PEGASAS. The partnership was established in 2012 and is led by researchers at Purdue University. Other core members are from Iowa State, The Ohio State University, Georgia Institute of Technology, Florida Institute of Technology and Texas A&M University. The FAA’s centers of excellence establish cost-sharing research partnerships with the federal government, universities and industry. PEGASAS researchers are studying a variety of general aviation issues including airport technology, flight safety and adverse weather operations. 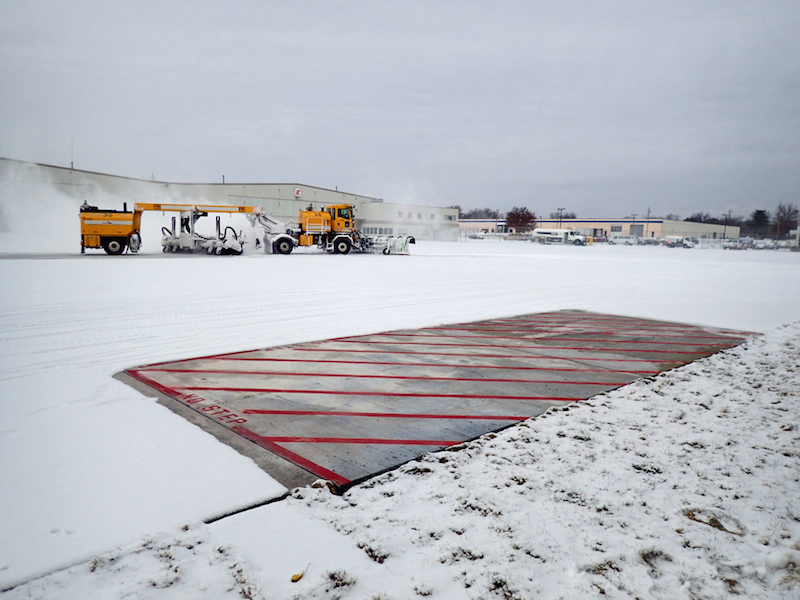 The program is providing about $2.2 million for Iowa State’s full-scale demonstration of snow- and ice-free airfield pavements and other studies of heated pavements. The university is matching those funds. 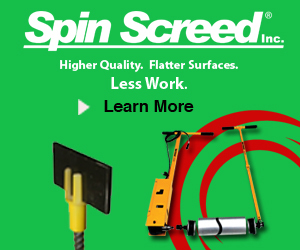 Ceylan noted that aprons are the most congested areas at airports and it takes a long time to clear them of snow and ice because big plows and other heavy equipment can’t work in such busy areas. “It was fascinating to see that it worked,” Belt said, noting Ceylan is now “trying to beat the weather to the punch” by turning on the heated pavements even before the snow starts flying. Belt said he can see the technology being useful in and around gates where there are lots of airport ground-handling equipment and employee activity. He also said heated pavements would be a big help at the front of the terminal with its sidewalks, crosswalks and ramps – he said it takes a lot of work to keep the areas clear and safe. 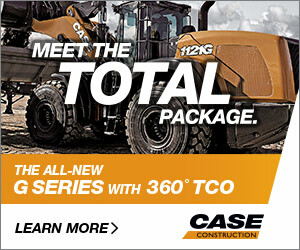 “There are definitely some opportunities for the technology,” he said. But, he said he’s going to take a wait-and-see approach until there’s more testing and there’s more information about installation and operating costs.